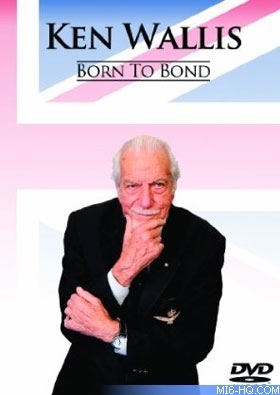 From his adventures as a pilot during the Second World War through to his pioneering work with the Autogyro, "Born To Bond" gives viewers a look inside the workshop - and the mind - of Wing Commander Ken Wallis. "Born To Bond" runs for approximately 100 minutes and provides in-depth interviews and coverage of Ken's life from childhood, to doubling as James Bond flying "Little Nellie" in the 1967 film "You Only Live Twice", and on to the present day. It includes unique footage of Ken flying his beloved autogyros, demonstrating their stability in his own special way with arms and feet off the controls! Footage was also shot at the Norfolk & Suffolk Aviation Museum in Flixton where Ken has been President since 1976. Ken shares his unique and fascinating journey through the past 100 years of aviation and engineering.